Gary Sinise ( born March 17, 1955) is an American actor, film director and musician. During his career, Sinise has won various awards including an Emmy and a Golden Globe Award and was nominated for an Academy Award. In 1992, Sinise directed, and played the role of George Milton in the successful film adaptation Of Mice and Men. Sinise was nominated for the Academy Award for Best Supporting Actor in 1994 for his role as Lt. Dan Taylor in Forrest Gump. He won a Golden Globe Award for his role in Truman, as Harry S. Truman. In 1996, he played a corrupt police officer in the dramatic hit Ransom, Detective Jimmy Shaker. 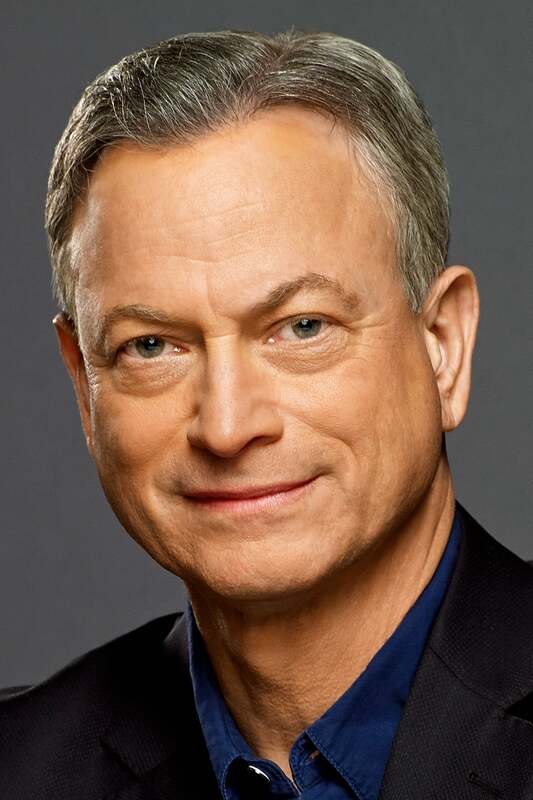 In 1998, Sinise was awarded an Emmy Award for the television film George Wallace, a portrayal of the late George C. Wallace. Since 2004, Sinise has starred in CBS's CSI: NY as Detective Mac Taylor. Description above from the Wikipedia article Gary Sinise, licensed under CC-BY-SA, full list of contributors on Wikipedia. Gary Sinise ( born March 17, 1955) is an American actor, film director and musician. During his career, Sinise has won various awards including an Emmy and a Golden Globe Award and was nominated for an Academy Award. In 1992, Sinise directed, and played the role of George Milton in the successful film adaptation Of Mice and Men. Sinise was nominated for the Academy Award for Best Supporting Actor in 1994 for his role as Lt. Dan Taylor in Forrest Gump. He won a Golden Globe Award for his role in Truman, as Harry S. Truman. In 1996, he played a corrupt police officer in the dramatic hit Ransom, Detective Jimmy Shaker. In 1998, Sinise was awarded an Emmy Award for the television film George Wallace, a portrayal of the late George C. Wallace. Since 2004, Sinise has starred in CBS's CSI: NY as Detective Mac Taylor. Description above from the Wikipedia article Gary Sinise, licensed under CC-BY-SA, full list of contributors on Wikipedia.